﻿ How Long Do You Take for Lunch? How Long Do You Take for Lunch? The lunch “hour” may be a concept of the past, new research from staffing firm OfficeTeam suggests. 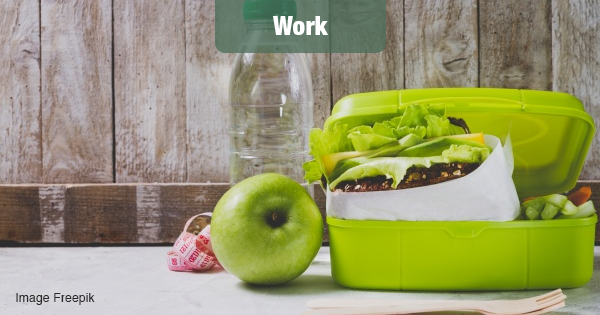 More than half of workers (56 percent) said their typical lunch break lasts 30 minutes or less. Among professionals in the 28 U.S. cities surveyed, those in San Francisco, Los Angeles and Miami take the longest lunches. Employees in Salt Lake City, Des Moines and Cincinnati have the shortest breaks. What are workers doing at lunch, besides eating? Respondents said they most frequently surf the internet or social media (52 percent), followed by catching up on personal calls or emails (51 percent). That’s up from 27 percent and 25 percent, respectively, from a 2014 survey. Twenty-nine percent of professionals confessed to working during lunch. View an infographic about lunch breaks. Data tables with breakdowns by age and gender are also available. Workers ages 18 to 34 (60 percent) most often surf the web or social media during lunch, compared to those ages 35 to 54 (55 percent) and 55 and older (34 percent). Professionals in Phoenix, Boston and Washington, D.C., work the most on their lunch breaks. Employees in Miami, New York, Houston and San Diego most frequently socialize with colleagues during their breaks. San Francisco, Chicago and Cincinnati may be the most health-conscious, with the largest number of respondents who exercise or take a walk during lunchtime. Have a well-balanced meal. Don’t skip what a midday break is intended for: eating. Choose nutritious foods that provide energy for the rest of the day. Get to know colleagues. Socializing with coworkers or your manager over lunch can strengthen connections. You could also network with contacts from other departments. Track professional goals. Use the time to meet with your mentor to discuss career progress. Step away from work. Getting out and taking a real break can help you return to the office more productive. Try exercising or walking to clear your mind. Take time for yourself. Running errands or taking care of personal tasks during lunch can result in a shorter to-do list later.